Warmer weather is the only excuse we need to bust out our grill and start adding that smoky flavor to our meals. But hamburgers and brats aren’t the only food you can grill up for dinner. 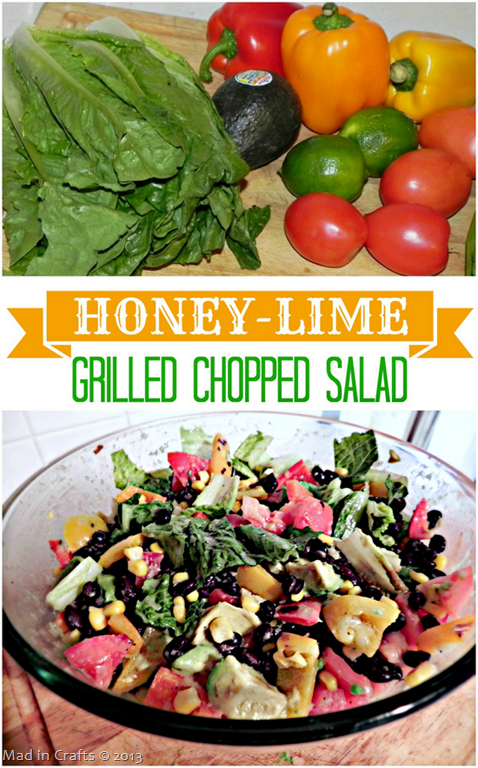 This grilled salad incorporates the tasty flavor of the grill with a delightful honey-lime dressing. Whether you serve it as a side or the main course, your family will love the taste of the grill, and you will love that they are eating their vegetables! This recipe calls for tons of fresh produce, so hit up your local farmer’s market or produce stand to get the best and freshest vegetables you can find. We have a month until our city’s farmer’s market opens, so I picked through the produce section of our grocery store for the best items I could find. Yes, you CAN grill lettuce. It sounds crazy, but hardier lettuces like romaine stand up to grilling very well. 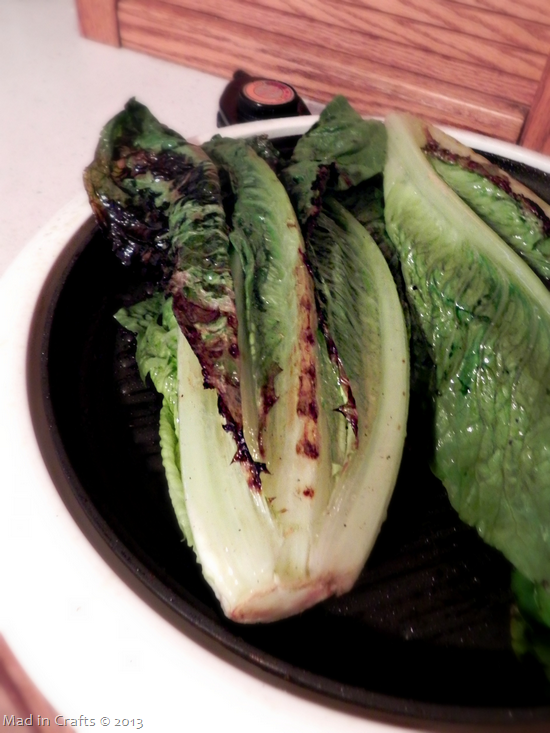 Drizzle whole heads of lettuce with oil (I used grapeseed oil), and char them for a few minutes on each side. Remove the hearts of the romaine heads AFTER you take them off the grill. We aren’t quite in outdoor grilling weather yet, so I had to do my grilling on our electric grill. A real grill is preferable because the veggies will taste better and you can cook them all at once. The goal of grilling the vegetables is to get a good char on everything to add smoky flavor, and to soften the vegetables up a bit. You might want to make up an extra large batch of the honey-lime dressing, because it is delicious on much more than just this salad. It has the right combination of tangy and sweet, and it is a breeze to make. 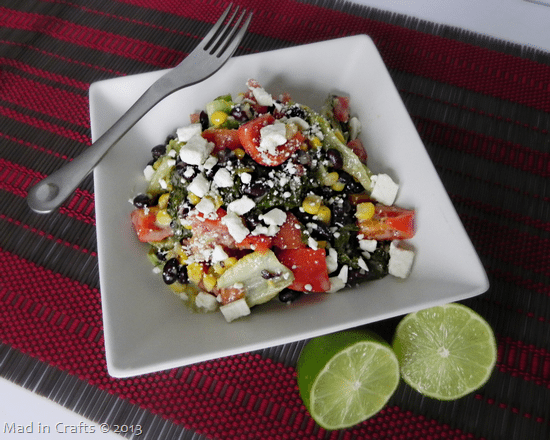 Grilling the ingredients elevates this salad beyond a typical summer chopped salad. The dish makes for a colorful addition to a healthy meal. So get out there and experiment with grilling your veggies! 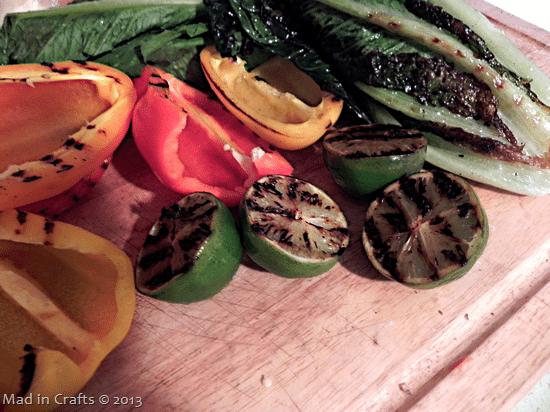 Grill lettuce, tomatoes, corn, peppers and limes until softened and charred. 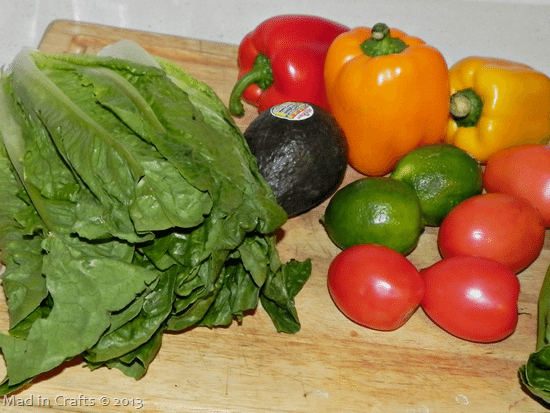 Chop lettuce, tomatoes, peppers, and avocado into bite size pieces. Mix all the ingredients, except limes, in a large bowl. Reserve grilled limes to make the honey-lime dressing. Add all the ingredients, except the oil, to a food processor. Process ingredients together, until smooth. Stream in oil until the dressing reaches your desired consistency. 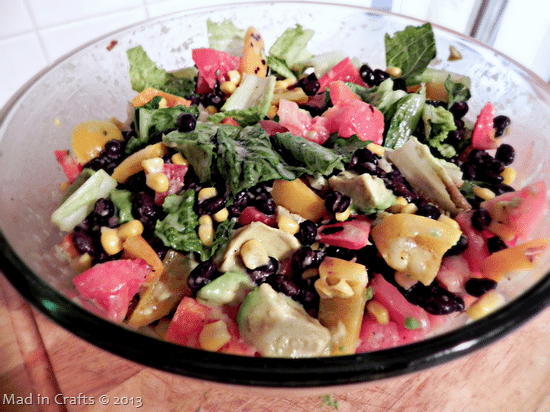 Pour the dressing over the grilled salad and toss to coat.